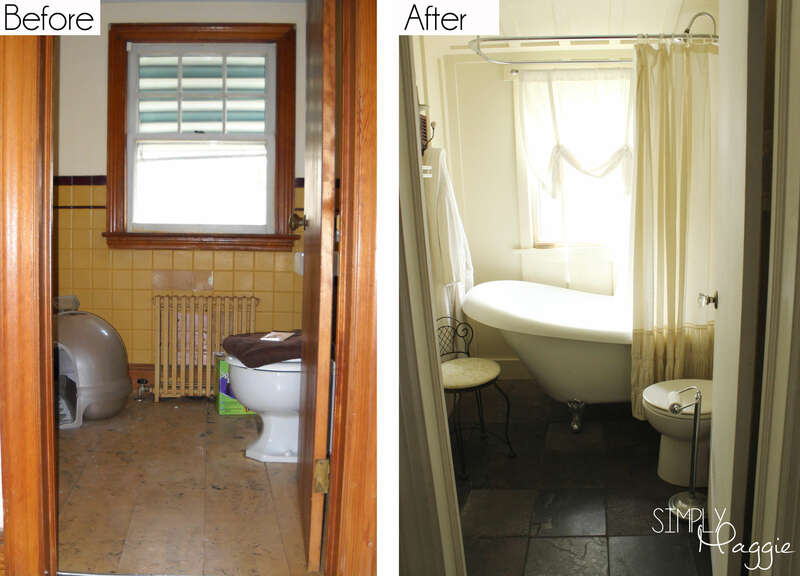 How are your bathrooms looking lately? 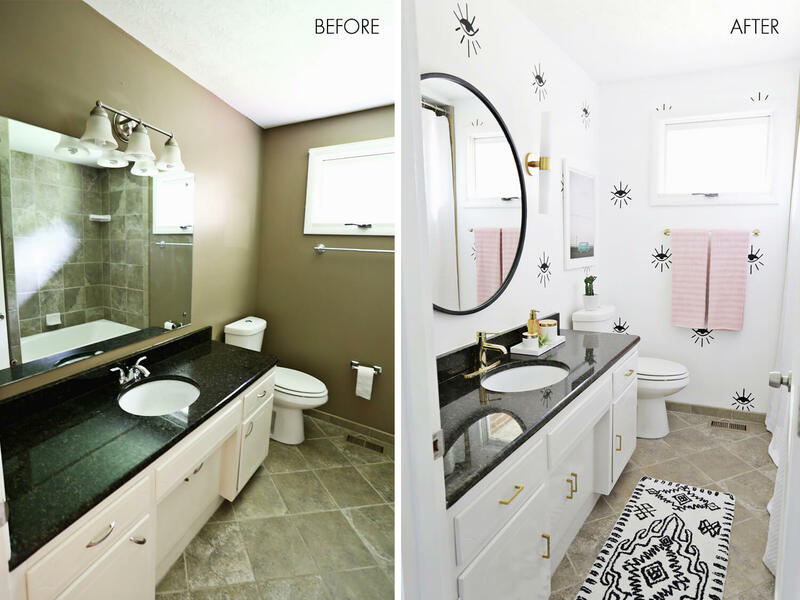 We have a curated collection of budget friendly bathroom makeover ideas to help you consider the décor in this very important living space. 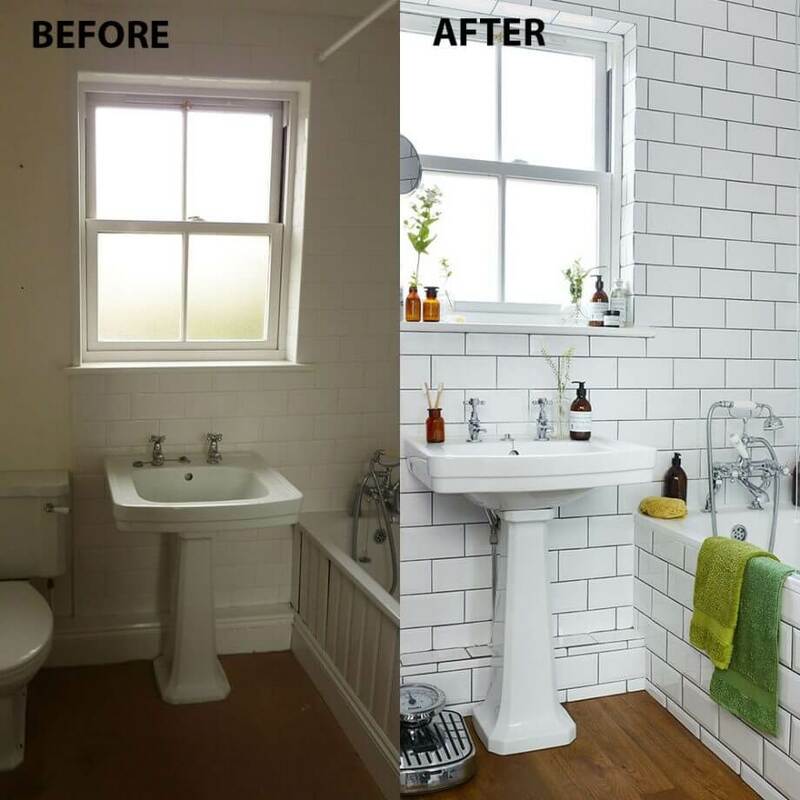 We spend quite a bit of time in our bathrooms, and they should be efficient and beautiful spaces that are just as equipped for a relaxing bath or shower as they are for quickly getting ready in the morning. 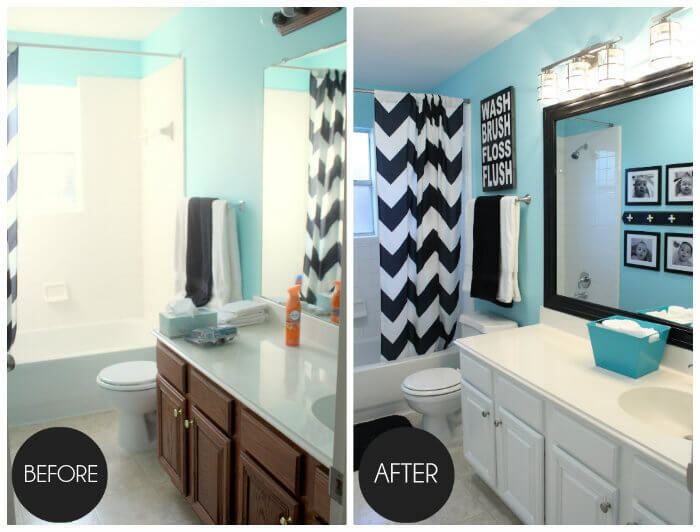 Bathrooms are relatively small spaces with a lot of items to consider. 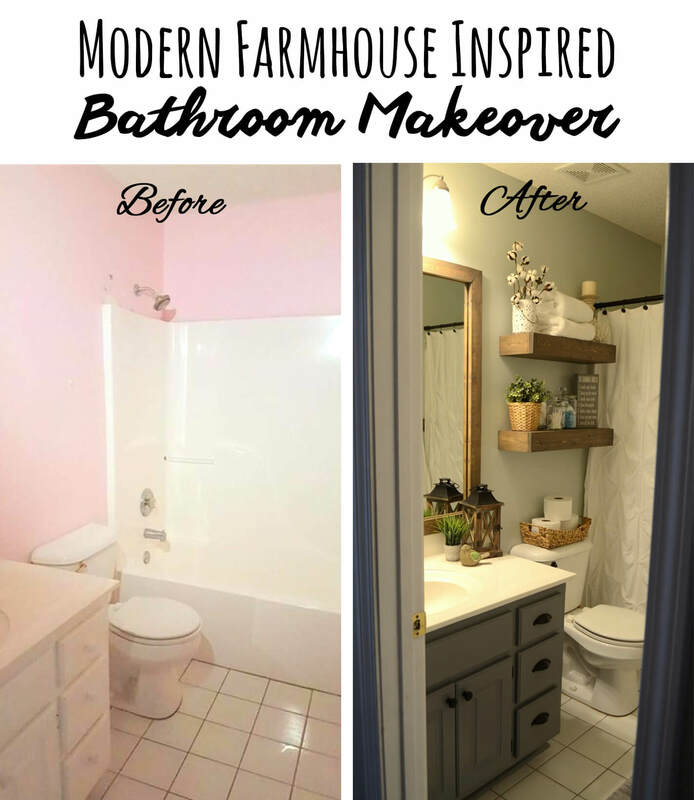 Tubs, toilets, and sinks can be expensive to replace, but there are other ways to modernize your bathroom space. 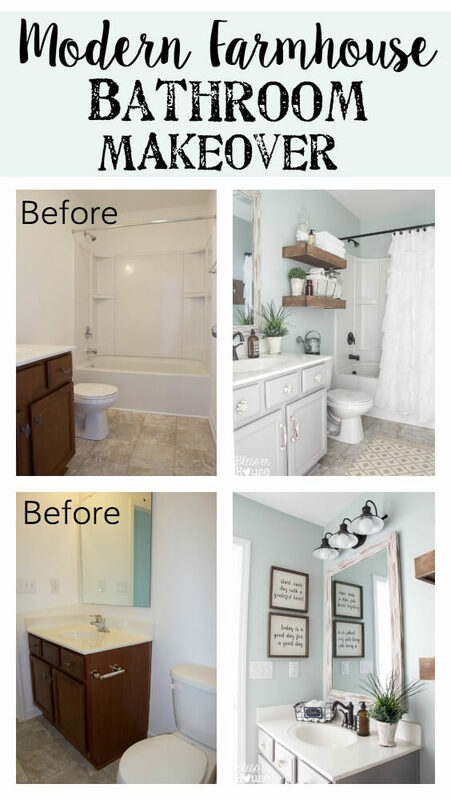 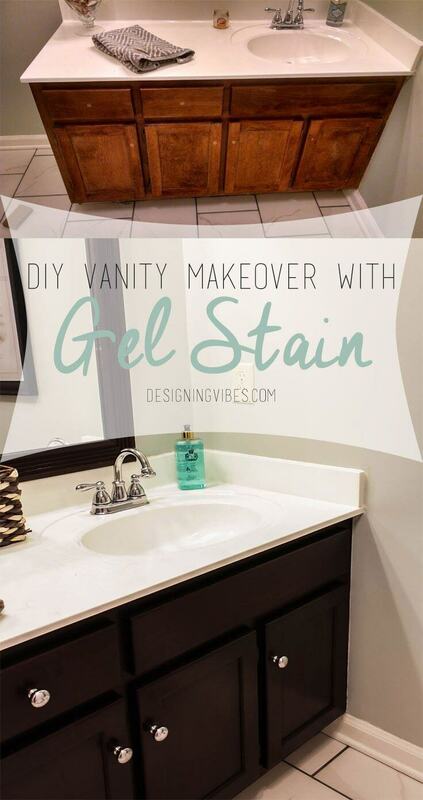 If you’re looking to update your bathroom this season, we’ve got some budget friendly bathroom makeover ideas that will take advantage of some big changes that can be made while leaving the big ticket items alone. 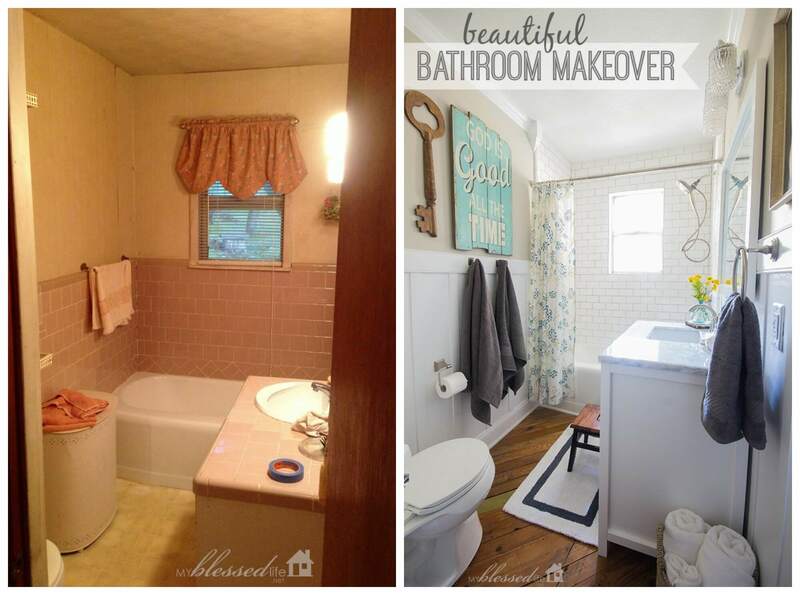 Bathrooms are often left fairly bare and devoid of personality. 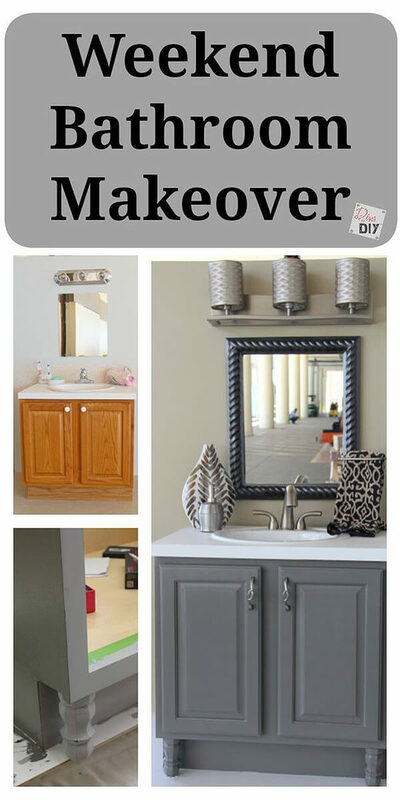 We’d like you to consider this a blank canvas upon which you can create whatever look you want; art, paint, storage, mirrors and lighting, hardware, and accessories can all be considered when creating the feel of your bathroom space. 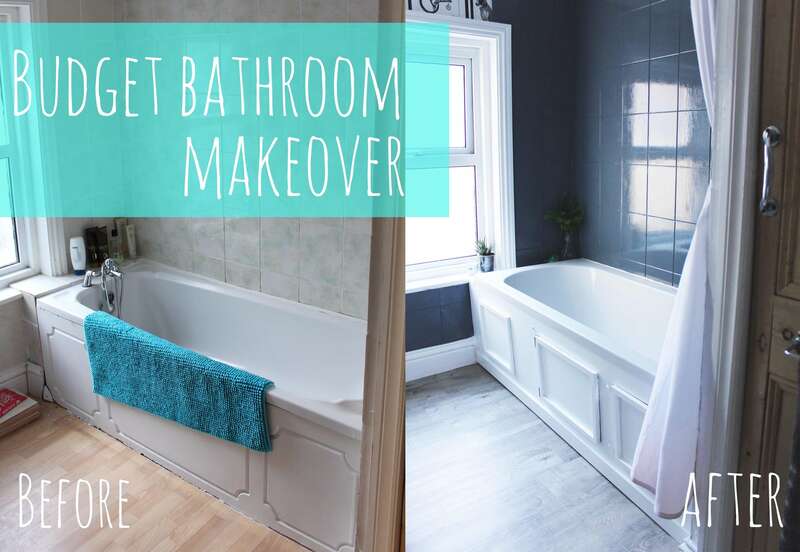 Our budget friendly bathroom makeover ideas will give you plenty of before and after inspiration, no matter what your taste or price point may be.